Showcase Sunday 6. Giveaway prizes. So, I was really lucky this week! As you know, I won a copy of Philippa Gregory - Changeling and it arrived two days ago! Another thanks to The secret writer ^^ I will be reading this one soon, so stay tuned for the review! Italy, 1453. Seventeen-year-old Luca Vero is brilliant, gorgeous—and accused of heresy. Cast out of his religious order for using the new science to question old superstitious beliefs, Luca is recruited into a secret sect: The Order of the Dragon, commissioned by Pope Nicholas V to investigate evil and danger in its many forms, and strange occurrences across Europe, in this year—the end of days. Isolde is a seventeen-year-old girl shut up in a nunnery so she can’t inherit any of her father’s estate. As the nuns walk in their sleep and see strange visions, Isolde is accused of witchcraft—and Luca is sent to investigate her, but finds himself plotting her escape. Despite their vows, despite themselves, love grows between Luca and Isolde as they travel across Europe with their faithful companions, Freize and Ishraq. The four young people encounter werewolves, alchemists, witches, and death-dancers as they head toward a real-life historical figure who holds the boundaries of Christendom and the secrets of the Order of the Dragon. I also found out that I won TWO other giveaways. Can you believe it? I danced when I heard it, haha. First of all, I won my own pick under 15 dollars on The book depository. I won The Jubilee Blog Hop on Elemillia's blog. I choose: Jackson Pearce - Sisters red. Look at the cover <3 and it's a fairytale retelling, so I couldn't resist to pick this one. I am so grateful for these awesome bloggers and their giveaways! Thank you so much for giving me the chance to receive these books. I can't wait to read them. You got some great books :). I've bought Sisters Red a while ago I really need to read it. I've read Jackson Pearce debut novel As you wish and I loved it. 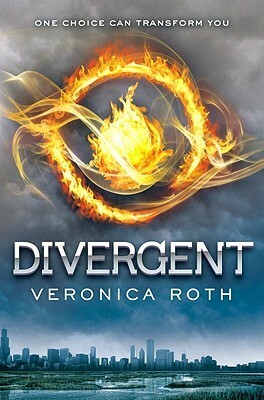 Divergent was one of my favorite book in 2011. But I was a little disappointed by Insurgent :/. Congrats on winning a bunch of giveaways!! 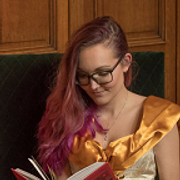 You have a great choice of books too, hope you have fun reading them! I just can't decide about that Philippa Gregory book... I've heard such good things about it, but it seems a step away from her usual books and I'm not sure if she can pull it off. Divergent is ah-mazing! ^_^ The other two books look really good as well! I've had sisters red for so long, I seriously need to read it! Divergent is amazing! I haven't read Divergent yet but want to. Oooo Changeling! Awesome haul, Mel! Great picks! I've been wanting to pick up Divergent for a while...just can't find the time to squeeze it in! Great pick! I loved Divergent! And Sisters Red looks so good! I considered reading it for a while but never got around to it. But now that I just finally realized the cover art design, I may just be picking it up! Changeling looks good. I need to get my hands on it. Wow! what wonderful books you received this week! I recently got Divergent but have't had a chance to read it yet. Eek cool books! Hope you enjoy them! Congrats on winning all those books, you had a lucky week!! I've got Divergent and Sisters Red sat on the booshelves at home, I still have to read them. 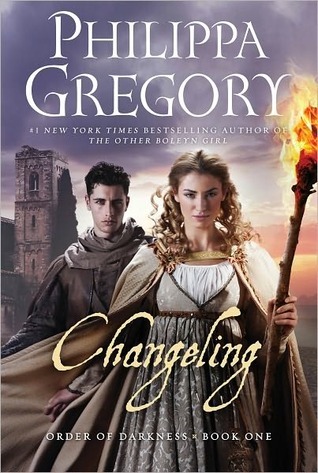 I'm still umming and aaahing whether or not to get Changeling, I will have to see some reviews first I think. Thanks for stopping by Chocolate Chunky Munkie and commenting on my Showcase Sunday post. I"ve been seeing CHANGELING around a lot nowadays. It sounds amazing, so you're lucky to get it. :) And DIVERGENT is quite good--can't wait to hear what you'll think about it! Congratulations on winning all these amazing prizes Mel! They all sound like wonderful books! I also really like fairytale retellings! I *still* haven't read Divergent. It feels like Anna and the French Kiss all over again... I haven't seen one bad review for it! 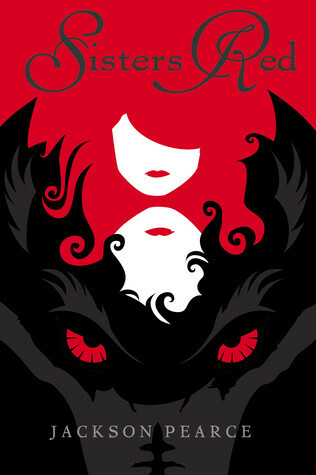 And I love the cover of Sisters Red. Oh you'll LOVE Divergent if you haven't read it yet :) I was quite late at reading it myself but it was totally worth the wait - it's unputdownable! Review 49. Ruta Sepetys - Between shades of gray. WoW 15. Mind Games & My name is Rapunzel. Review 48. Amy Plum - Die for me. Review 47. Carrie Ryan - The dead-tossed waves. Review 45. Lauren DeStefano – Wither. Review 44. Lauren Oliver - Liesl & Po. Review 43. Anne Greenwood Brown - Lies beneath. Review 42. Julie Kagawa - The immortal rules. Review 41. Kiersten White edition. Top 10 Tuesday (13). Everyone but me.